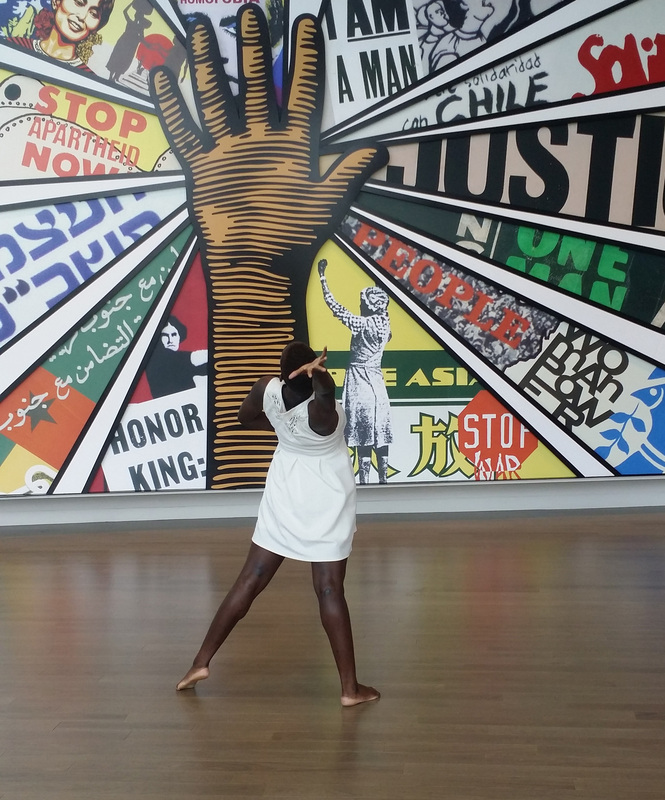 This year, Moving in the Spirit began a relationship with the National Center for Civil and Human Rights, bringing our young people’s inspiring performances to Center events. We recently sat down with their new Program Manager, Kelli Edwards, to talk about the arts, young people, and her vision for the Center’s future programming. 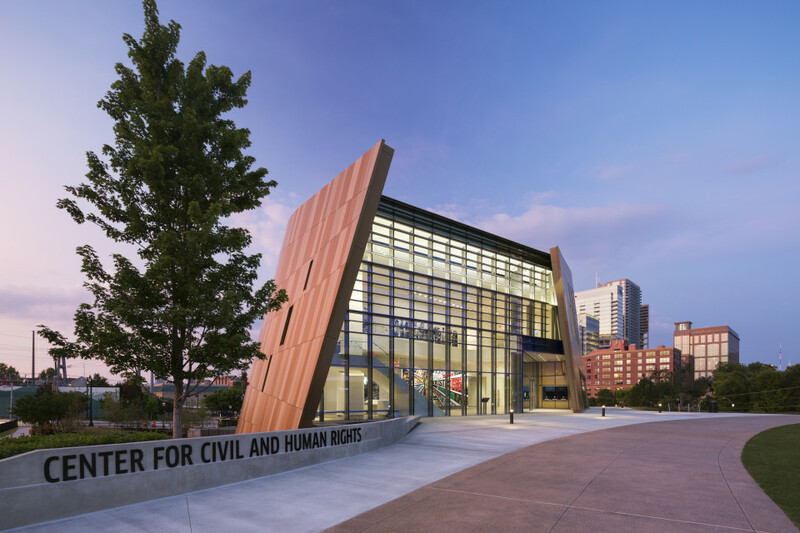 The Center for Civil and Human Rights is invested in the community, particularly its youngest members. Why? “Both the Civil Rights Movement and the movements that are gaining momentum right now are led by young people, ” says Kelli Edwards, Program Manager for the Center. If we want to move forward, the voices of our youth are essential and one of the ways that young people find a voice is through the arts. The Center is very intentional about incorporating the arts into their programming, particularly because the arts make serious topics easier to digest. Edwards’ vision is that the Center be viewed as a safe place, a convening place, where people can gather, learn, and have dialogue. She wants young people to see it as theirs, as part of their community, and not as a traditional museum. Social justice and the arts are closely linked, in Edwards’ view. “Social justice relates to your moral compass,” she explains. “I love myself and therefore I love my neighbor. I want to be treated with kindness and respect and I want my neighbor to have the same. Social justice is about noticing when that is not happening, when there’s a problem, and fixing it.” For Edwards, the arts are inextricably linked to social justice because they move people on an emotional level, which encourages them to create change. When the community witnesses others using their artistic voices to speak to social issues, they are inspired and empowered to do the same. Edwards has had a nontraditional career so far, to say the least. Growing up in Chicago, IL, she nurtured a passion for science and decided that it was the career field for her. So, off to the University of Illinois she went, where she earned a Bachelor of Science in animal science and after that, pursued a Master of Science in Marine Sciences from Savannah State University. Edwards was a National Science Foundation GK-12 Fellow. As part of her program, she was placed at Sol C. Johnson High School in Savannah, where she was tasked with infusing the science curriculum with her marine science expertise. 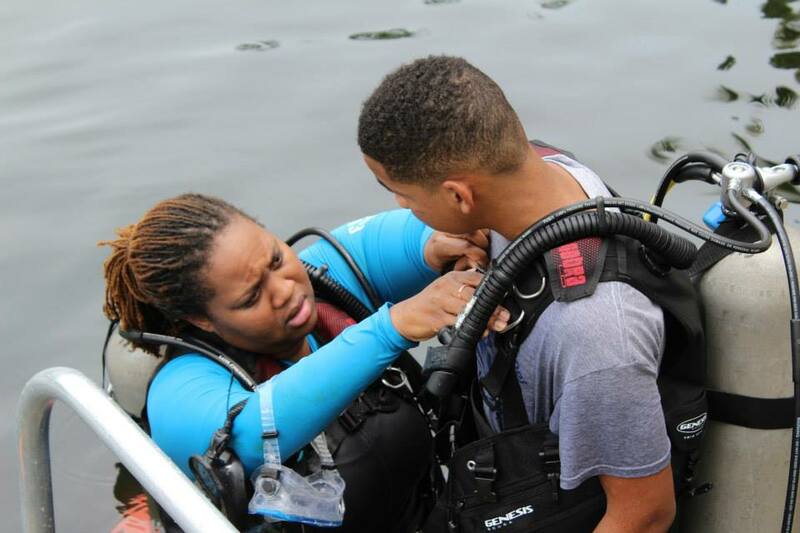 “I was struck by how students of color are not typically taught about or directed to the marine sciences,” she says, recalling her experience. She felt called to devote her life to removing the barriers that stood between people of color and an appreciation for science. 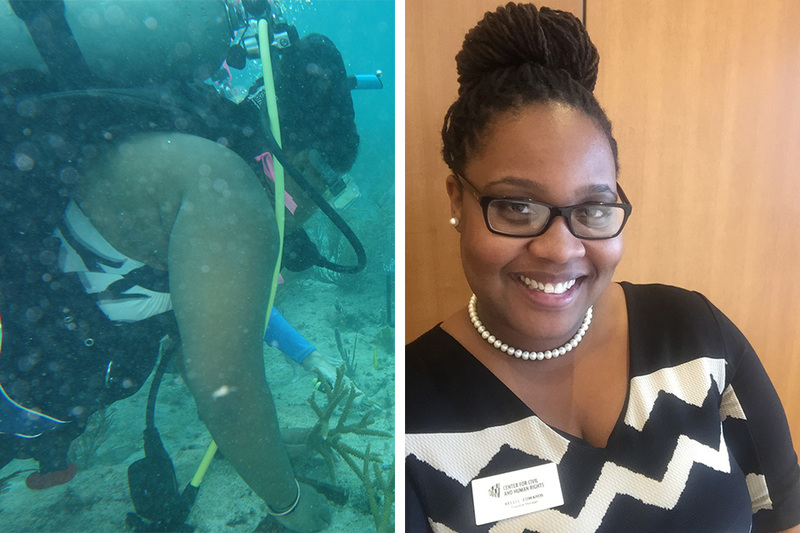 In her work in Education Programs at the Georgia Aquarium, she got to fulfill both her passion for marine life and her passion for exposing young people to the wonders of science. She sought to reframe the way young people think about science, a discipline that goes beyond the lab and influences everyday life. When the position became available at the Center, Edwards saw an opportunity to wholeheartedly address the barriers and injustices that plague our nation and world. She is particularly committed to ensuring that young people feel empowered to express themselves and address the injustices that exist. For Edwards, failing to invest in the young people is failing to provide for the future. A vision reinforced by the Center’s location in the birthplace of the Civil Rights Movement, Edwards sees it as “a convener, a place for conversation, learning, where history becomes present and future…the central place where people can come and have serious conversations.” The National Center for Civil and Human Rights is not a traditional museum where you come to be moved, then go home; it is a place where you come to be moved and can feel right at home.